Spending time exploring Canada’s historic Northwest Passage and West Greenland, we like this voyage’s balance and variety as much as exploring little visited places like Thule, one of the northernmost towns in the world. Big ice, ​rich ​history, ​exotic ​wildlife​, epic ​scenery & the Northern Lights - this trip has it all. Your arctic expedition begins in Reykjavik. Explore Iceland's capital city on your own before spending the night at your well-appointed hotel. This morning, board your charter flight to Kangerlussuaq. Upon arrival, you'll have a chance to walk around this small arctic town at the eastern head of Sondre Stromfjord, one of the longest fjords in the world. 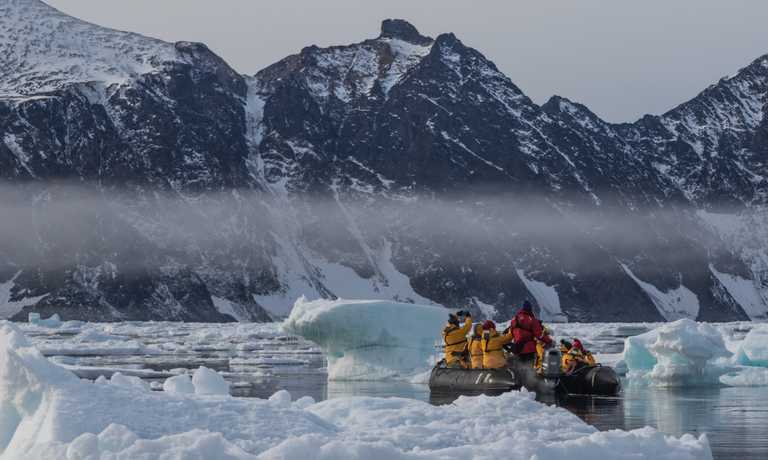 As you cruise across the Davis Strait, your Expedition Team will prepare you for the adventures that await. Learn about the storied history and politics of the Arctic, its fascinating wildlife, geology, ecology and climate, and the incredible sights you will soon explore. Baffin Island is the fifth-largest island in the world. It was named for English navigator William Baffin, who ventured to the area in the early 17th century in search of the fabled Northwest Passage. Your days sailing along the island's eastern coast will be guided by weather and ice conditions, with each day and each landing presenting new adventures. Some favourite destinations include Qikiqtarjuaq, Isabella Bay and Sam Ford Fjord. 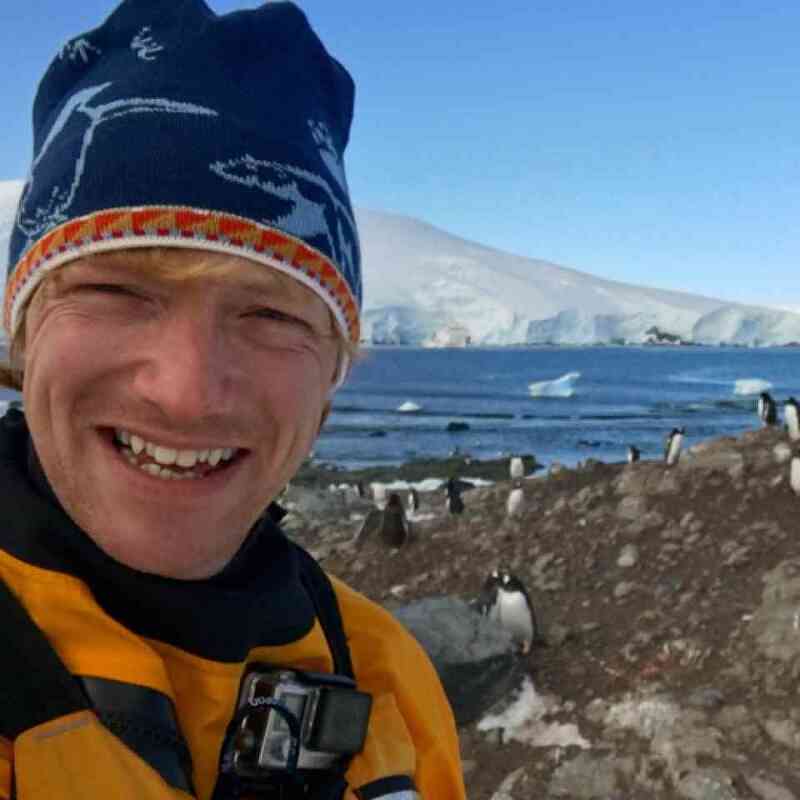 As the ship sails farther north, take in a presentation by the on-board experts, sip an icy cocktail in the bar, watch a movie or join your Expedition Team on the bridge as they scan for wildlife - there is no shortage of activities while at sea. The gateway to the Northwest Passage, Lancaster Sound is one of the richest marine habitats in the Arctic. With open-water areas staying ice-free all year, it is an important summer feeding area for whales and other marine wildlife. 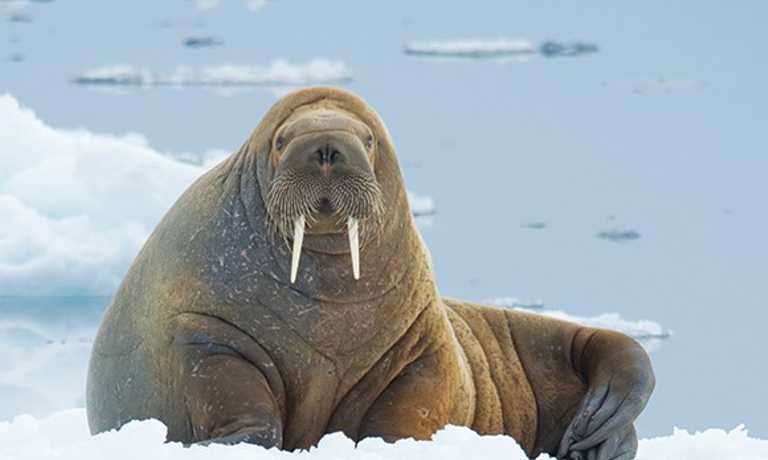 Your days here will be spent exploring several of the Sound's beautiful bays and inlets, discovering historical sites, enjoying Zodiac cruises and searching for such iconic wildlife was walrus, seals and, of course, whales. Lancaster Sound is also known for polar bear sightings. If you're very fortunate, you might even spot the elusive narwhal. Before saving goodbye to Canada, you'll push as far north as possible, exploring both sides of Smith Sound, the uninhabited passage between Ellesmere Island and Greenland. Experience a true expedition as weather and ice determine how far north you'll venture. Your return to Greenland will have you sailing along the remote northwest coast, a land of impressive icebergs and massive glaciers. Qaanaaq, formerly known as Thule, is one of the north westernmost towns in the world (there's a reason ancient philosophers called it Ultima Thule, or "edge of known territory"). Here, local Inuit share their culture and traditions, while the museum sheds more light on what it's like living near the top of the world. As you continue the journey south along the west coast of Greenland, presentations by the on-board experts will prepare you for the adventures that lie ahead. With spectacular glaciers, soaring fjords and vibrant communities, the west coast of Greenland will leave you breathless. Nuussuaq (formerly known as Kraulshavn) is the only mainland community in the Upernavik Archipelago. Founded in 1923 as a trading station, it's one of the most traditional hunting and fishing villages in Greenland. It's not surprising that the red-hued, heart-shaped mountain that rises up behind Uummannaq gave the traditional community its name (Uummannaq means "heart-like" in Greenlandic). As your ship approaches the shore, you'll want to be on deck to take in the incredible view of the twin peaks towering over the vibrantly painted wooden houses dotting the rocky terrain below. The settlement was established as a Danish colony in 1758 on the mainland, but it relocated five years later because seal hunting was more plentiful here. In the nearby archaeological site of Qilaqitsoq (also known as Qilakitsoq), you'll visit the ruins of an ancient settlement, where the remains of eight fully dressed mummies were discovered under a rock outcrop in 1972 by a pair of hunters. The famous Greenlandic mummies, which date back to 1475 AD, are on view at the Greenland National Museum in Nuuk. Cruising farther south rewards with spectacular views of Eqip Sermia. The jagged, blue-tinged glacier soaring out of the crystal-clear water is one of the most beautiful sights in Greenland, and we hope to Zodiac cruise along its massive front from a safe distance. We may also go ashore to explore nearby. 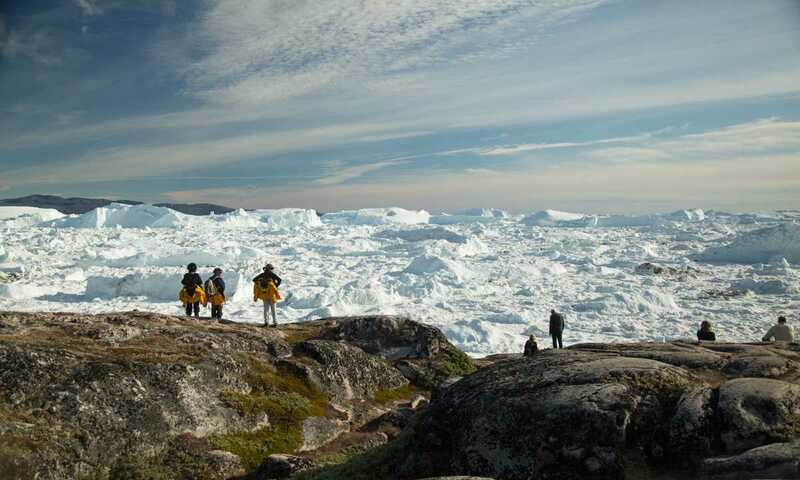 Just south of Ilulissat, which means "iceberg" in Greenlandic, is the impressive Ilulissat Icefjord. The UNESCO World Heritage Site is home to Sermeq Kujalleq, the most productive glacier in the northern hemisphere. As we Zodiac cruise at the mouth of the fjord, you may be lucky to witness the wonders of calving ice (listen to the loud roars as the ice breaks off ). Founded in 1741, the traditional town, which boasts more sled dogs than people, is famous in its own right: it was the birthplace of explorer Knud Rasmussen, the first to traverse the Northwest Passage by dogsled, in the early 1920s. Hikes here lead out to stunning views of the young icebergs as float out the fjord to Disko Bay. 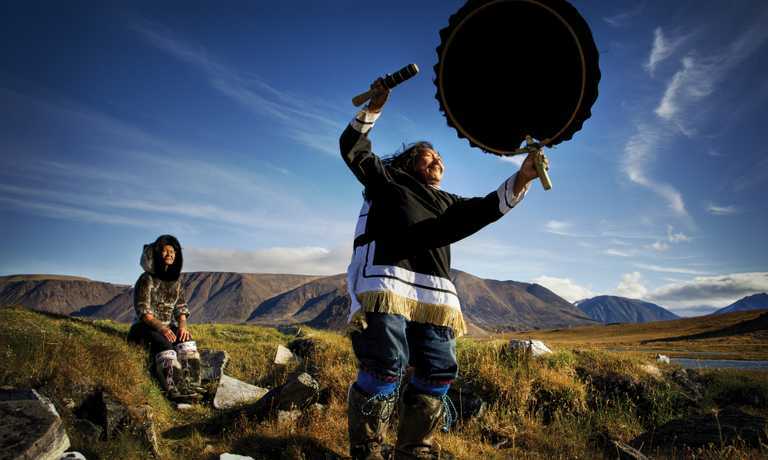 In Sisimiut, you'll be treated to a traditional kayaking demonstration. The kayak (an Inuit word that the English borrowed) is Greenland's national symbol and can be traced back to the country's first immigrants, who used vessels that resemble the narrow one- or two-person boats. The town has several 18th-century colonial buildings, including the oldest surviving church in Greenland, so take time to wander through the historic area. You'll also have a chance to hike amongst the area's surrounding mountains. Situated in a scenic hollow on a small island with no freshwater, the colorful community of Itilleq, which has about 130 inhabitants, is surrounded by sea, mountains and fjords. The final excursion of your arctic adventure may be a hike around Itilleq Fjord. Enjoy one more Zodiac ride to shore, where you'll board your charter flight back to Reykjavik, Iceland. Upon arrival in Ottawa, we will transfer you to your included hotel. Today, you can make your way home at your leisure or spend some time exploring this vibrant city. This trip was simply marvellous. The hour-long up-close viewing of a female polar bear from the bow of the ship as she crossed the sea ice and put on a show for us was certainly a highlight. The 1,500 pictures I took over the course of this viewing is a testament to this. The charter flights at the beginning and end of the voyage cost an additional $2,495 per person on top of the voyage price. This is inclusive of taxes and fees.